On behalf of the West Duluth Business Club, we would like to thank KOLAR Automotive its generous donation of driver Jack and a beautiful truck to chauffeur our royalty in style in the Christmas City of the North Parade. Pictured above are Spirit Valley Days Royalty Miss West Duluth Rachel Skwira-Brown and Miss West Duluth Princess Lindsay Johnson. 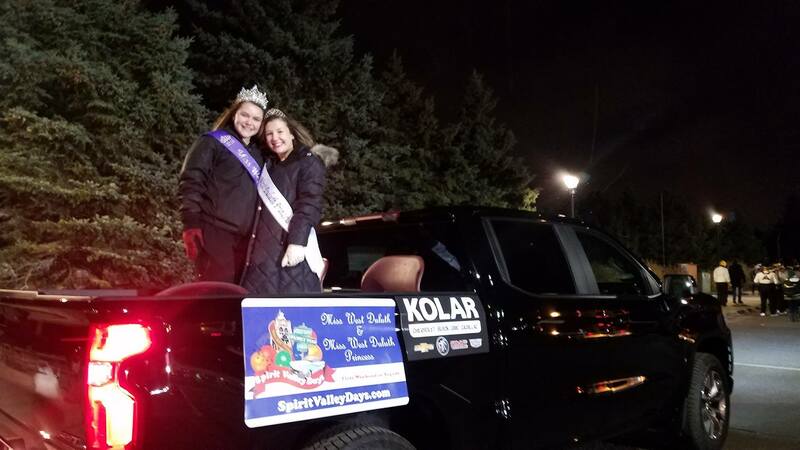 They had a smooth ride in the Christmas City of the North Parade because of Kolar’s generosity!